Atlantik-Brücke mourns George H. W. Bush - Atlantik-Brücke e.V. Atlantik-Brücke mourns the passing of George Herbert Walker Bush. With him, we lose a close friend to Germany and a convinced transatlanticist. He was a courageous champion of the free world, without whose historical vision German reunification would not have been possible. Germany is especially indebted to this outstanding president. “We know what works: Freedom works. We know what’s right: Freedom is right”, said George H. W. Bush in his inaugural speech as US President in 1989. Shortly after, his words were to be followed by deeds: The perspective of a reunited Germany was controversial among the European Allies, but George H. W. Bush resolutely fought for it. The former president valued and trusted Germany as a partner in Europe and was convinced that a reunited free Germany would be even better able to fulfil the role of “partner in leadership” – a concept he had already devised in 1989. For his services to German reunification and the friendship between Germany, Europe and the United States, Atlantik-Brücke presented the former president with the George H. W. Bush Award, named after him, on August 28, 2015. 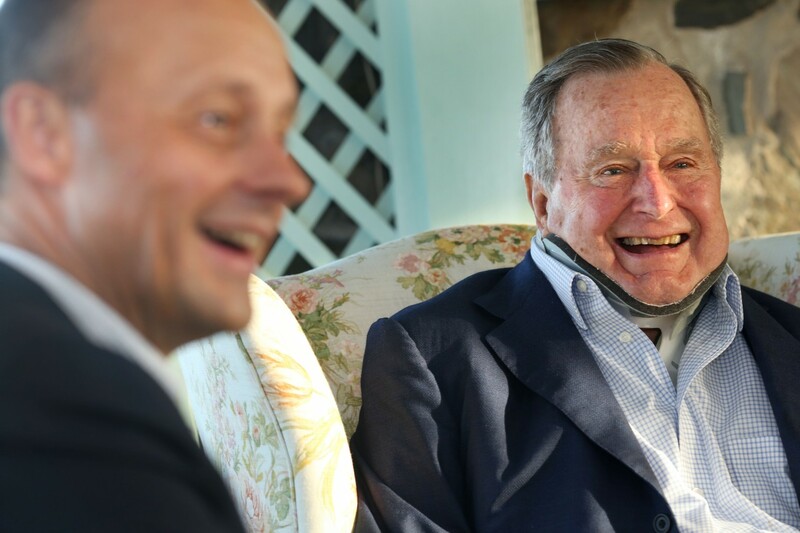 “With great personal commitment, George Bush made it clear that the USA considered Germany as a friend and partner,” Friedrich Merz said at the award ceremony. You can read an obituary on George H. W. Bush by our board member Ambassador Wolfgang Ischinger here (in German).